Fly from Edinburgh to LA with Aer Lingus. Los Angeles is a trend-setting global metropolis with an extraordinary history and a rich cultural heritage, boasting vibrant multicultural neighbourhoods. It is known as the Entertainment Capital of the World and is home to renowned museums, along with 75 miles of sunny coastline. Whatever type of holiday you're after, Los Angeles, California has it all! Grab yourself a cheap flight to Los Angeles and discover how easy it is to travel to North America with Aer Lingus. Connect in Dublin Airport’s Terminal 2 and pre-clear U.S. immigration before boarding your flight - that means you can grab your bags and go when you land in LA! 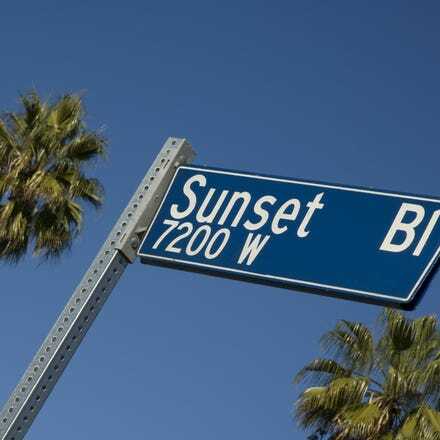 Home of Universal Studios, Hollywood, Beverley Hills, Sunset Strip and the Walk of Fame, Los Angeles has long lured people into its glittering fantasy world. With endless sunshine, palm trees, shopping malls and beautiful people, this city is like no place you've ever been before, and yet is strangely familiar. Los Angeles is a wonderful, vibrant, exhilarating multi-cultural hub with a plethora of things to do and see. Area code: L.A. has seven Area Codes. Downtown uses the original 213. The rest of the city is divided into 310 (West of La Cienega Boulevard), 818 (San Fernando Valley), 626 (East), 562 (some areas in the South and East) and 323. 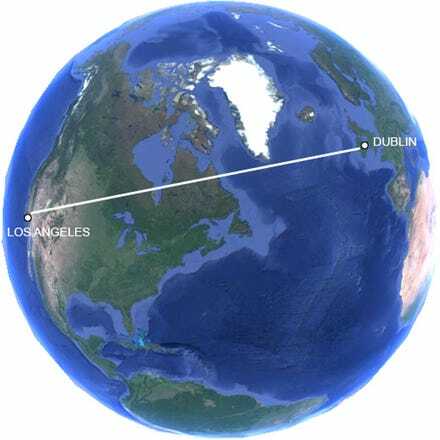 All Aer Lingus flights to LA arrive at Los Angeles International Airport (LAX), which is located about 30 km (19 miles) southwest of Downtown L.A.
Public transport from LAX is slow, but cheap. The “C” shuttle leaves from the LAX Shuttle & Airline Connections sign on the Lower/Arrival Level islands in front of each terminal and brings passengers to the Metro Bus Center, where they can catch city buses serving the Los Angeles area.